A global epidemic, hunger has close to a billion people within its grips. India is the home to over 23% of the world’s hungry. Over 19 crore people in our country are compelled to sleep on an empty stomach daily and we lose over 3000 children every day to hunger. But irony is we waste around 67 million tonnes of food valued around Rs.92,000 Crore annually. These stats only prove that the real cause of hunger is not shortage of food, there is more than enough food to feed entire population of this earth. The real cause of hunger is unequal distribution and accessibility food. Being an integral part of the food industry Sumeru understands how large the crisis of hunger is in our country. Which is why Sumeru has joined hands with the Hugs Foundation to launch an initiative to fight hunger in India – the ‘One Million Meals Campaign’. Through this initiative Sumeru has pledged to provide one million meals to our country’s underprivileged children. Through its “One Million Meals” campaign Sumeru is calling upon the food industry, change makers and social influencers and most importantly the citizens of the country to spread the message to fight hunger. The campaign features an engaging video that aims spread awareness about hunger and mobilise users to act to stop hunger. A plateful of meal means the world to the hungry. Make a difference by sharing. Sumeru Frozen Foods is a 30-year-old heritage brand of Innovative Foods Limited, focused exclusively on the frozen foods segment, Sumeru is changing the face of how frozen food is perceived and consumed, with its product & technology innovation and R&D focus on new, healthier alternatives. Freezing helps in zero food wastage and is one of best methods of food preservation that keeps nutrition intact. Sumeru offers over 25 categories of frozen food products ranging from quick meals such as parathas to snacks such as fries, nuggets, seafood, etc. 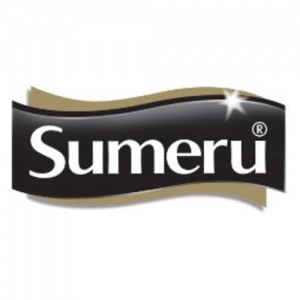 Sumeru’s products are available across 100+ cities and towns in India in 6000+ retail outlets. Besides, it is also exported to US, Middle East, UK, Japan and Singapore markets. It has a state-of-the-art production facility in Kochi and Chitoor .Sumeru is a brand of Innovative Foods Limited, established in 1998. Founded in October 2015 by Madhumita Kalauny, HUG is a citizen movement group with the aim to eliminate hunger by mapping for excess to hunger. Foundation which entirely comprises of volunteers who are working professionals, works extensively at the grass root levels to help the homeless, elderly and underprivileged children. HUG today feeds 500 people every day across Bangalore. Previous Post Vegetarian Brunch in Town – Lush, Renaissance Bengaluru Race Course Hotel.